Prescription levels of powerful sedatives rose by 30% during the period 2007 to 2017. The rise is mirrored by rising number of overdoses and deaths, according to research by The Sunday Times. 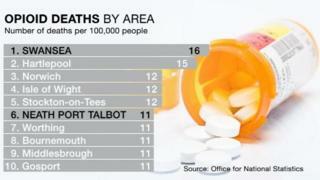 In Swansea in 2017, 16 people per 100,000 died as a result of opioids, according to the Office for National Statistics( ONS ). There were 40 opioid-related fatalities out of a population of 245,480. In 2017, the most recent time for which data is available, the death rate per 100,000 in Wales was more than double that of London. Only the north-east of England had a worse rate. 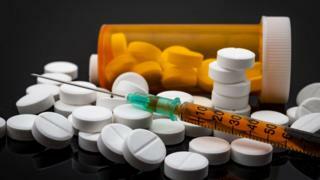 About 2,000 fatalities each year – more than five every day – are down to the sedatives, up by 41% from 10 years ago. They includes deaths per heroin, another opioid. Four in five people who try heroin began with prescription painkillers. What are opioids and what are the risks ?